At stake in both Questions de poetique and Questions of Poetics is the contested category of the “literary” and its relationship to the larger domains of aesthetics and history. Insofar as Jakobson’s and Watten’s interrogations presuppose the “end” of poetry’s claims to a general autonomy bequeathed by a history of cultural productions attenuated within the restrictive economy of the “literary” (even as those claims still support the flourishing “business” of poetry), they remain interested in its relative autonomy — that is, what, today, makes poetry, poetry — and its relationship to poetics within and beyond poetry. 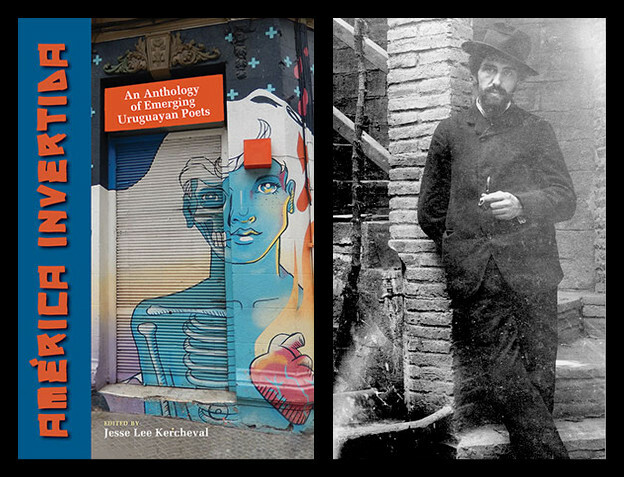 To this end Questions of Poetics attempts to re-situate Language writing within past, present, and emerging historical contexts. 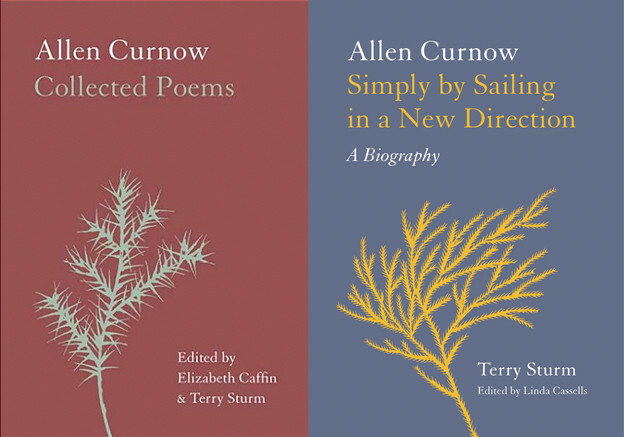 This is a re-situating because, Watten argues, critics and poets tend to treat poetry in general as either an autonomous literary genre, which too often devolves into formalist histories and evaluations, or as “just” an appendage of a general humanist culture, ignoring or demoting its distinctive formal properties. Thus, as a double corrective, Watten avails himself of two strategies: (1) an “expanded concept of cultural poetics” to salvage the aesthetic from a traditional cultural poetics (i.e., New Historicism) that treats poetry as merely another symptom of bourgeois cultural production under capitalism, and thus (2) a post-Marxist/post-Lacanian reading of agency (by way of Jameson and Zizek) sutured to the poem that then becomes an object of inquiry within multiple, overlapping periods of twentieth- and twenty-first-century literary history. This critical orientation replicates the one that Watten deployed in The Constructivist Moment (subtitled From Material Text to Cultural Poetics). Readers of both books might easily get the impression that they were reading two versions of the same text, but this risk (and there are several taken here) is one that Watten openly acknowledges. Watten’s two books on Language writing, techno music, and European art constitute less the linear development of a single argument than the circulation and recirculation of multiple arguments around a set of specific objects. Orbiting around and thus illuminating one another, the two books constitute a kind of double star “sharing” the same planetary (generic) system. Watten organizes the six essays of Question of Poetics (each essay is divided into discrete subsections) according to three time periods (from the mid-sixties to the 2000s) that correspond to what we might call, given Watten’s stance, pre-Language writing, Language writing, and post-Language writing. Thus, the centrality of Language writing as an organizing moment within twentieth- and twenty-first-century literary history drives the arguments of the book. More polemically, Watten claims that Language writing has “defeated its detractors” and, presumably, can now be situated within a literary history of innovative writing practices in general. At the same time Watten wants to expand the historical contexts in which Language writing developed in order to demonstrate that it was, first and foremost, a “critical practice,” by which he means a self-reflexive praxis of oblique engagement with historical crises, a strategy that, if nothing else, he claims, separated it from other modes of innovative writing (New American, Black Arts, second-wave feminism, etc.) that also responded to the political, social, and cultural convulsions of the sixties, seventies, and eighties. This point can be contested on historical grounds, not in terms of a uniquely and self-consciously constructed collective of writers but in terms of less formal groups (the Society of Umbra, the Free Lance Collective, the Combahee River Collective, etc.) whose works of art engaged historical crises by torques of the language in terms of the lexicon, grammar, and syntax that often served to equalize standard English and dialect. Watten’s claim for exceptionalism becomes even less credible at the level of individual innovators as he implicitly acknowledges by beginning with the singular poetics of Allen Ginsberg. Rare among the Beats in recognizing that the transparency of oral and written language was the last bastion of the humanism he opposed, Ginsberg is a good, even surprising, example for Watten to read as a pre-Language poet. However, better examples, I think, can be found in Melvin B. Tolson (his torqueing of received lexicons) or, even more obscure, in Russell Atkins’s reversion to linguistic devices excised from popular usage. Possibly influenced by the current popularity of spoken-word and performance poetry which arose during the same period as Language writing (1970s), Watten begins by trying to demonstrate how the critical productions of both speech- and text-based poetics dovetail at the materiality of language. Chapters 1 and 2 trace these concerns through the Berkeley Free Speech Movement and the documentary Berkeley in the Sixties, the photographs of Ansel Adams, and the poetry of Allen Ginsberg, Robert Grenier, Robert Creeley, Robert Duncan, Denise Levertov, and others. Chapter 3 constitutes a summary of the production values of The Grand Piano (the collective autobiography project undertaken by several Language writers) and readings of works by Ron Silliman, Carla Harryman, and Bob Perelman. Chapter 4 makes a case for Conceptual writing and Flarf as recent movements recalibrating some of the techniques (particularly appropriation) associated with Language writing. Watten concludes the book with analyses of the “advantages” of negativity (chapter 5) and the function of the poet/critic within what he describes in another chapter title as “The Expanded Object of the Poetic Field” (chapter 6), that title being his revision of both Olson’s phrase “composition by field” and Duncan’s “opening of the field.” Watten’s overall point in the book is that various developments in poetry and the arts, including Language writing, emerged from cultural tendencies and matrices concussed by the upheavals of the Vietnam conflict, civil rights agitation, militant unrest, and the rise of both radical counterpolitics and popular countercultures. The retrenchment of political and cultural conservatism in the last two decades of the twentieth century led, Watten argues, to strategic readjustments for the Language writers, changes in the reception of Language writing, and the development of various post-Language tendencies and movements. For Watten, then, Language writing remains a prodigiously fertile resource, not only for groups and individual artists repurposing some of its techniques but also for those writing and publishing in direct opposition to its principles. The first premise of the arguments developed in Questions of Poetics has long been foundational to most histories of modernism and is partly derived from modern art historiography and partly from linguistic structuralism: the premise that questions of poetics are invariably questions of language understood as either the condition of the possibility, or another mode, of semiotics. Inasmuch as semiotics in general, and language in particular, govern all the arts, so too the nonsemiotic, the nonlanguage, is understood as “noise” (and within avant-garde historiography, as a mode of negativity). Thus, semiotics, understood as the suspension of positivism, underwrites the disruption of thematic development in serialism (ambient, drone, and techno may be understood as partial instantiations of the serialist aesthetic) as well as the refusal of propriety (in every sense of the word) in avant-garde art (parataxis and nonrepresentationalism being merely two of its distinguishing features). The academic reduction of these various movements to cliché — the medium is the message — is precisely the kind of inadequate theorizing Watten criticizes throughout his book. At the same time, he concedes that the Language writers’ early polemics against expression, the author, etc. contributed to the reductive view of Language writing as a pure formalism. However, in titling the book Questions of Poetics — not questions of poetry or language — Watten signals his second premise, one that ties it to The Constructivist Moment: insofar as poetics, like constructivism, is a mode of “making,” “An expanded notion of making … sees the work as a general condition of the mode of cultural production and frames it more provisionally in historical terms, connecting microlevels of linguistic and formal construction with the macronarrative of the mode of cultural production, and cultural logic within a historical period — not only to explain the past but to also enact possibilities for agency in the present.” Thus, poetics as making can be understood as “a discourse between creative practice [poetry, art, music] and critical interpretation [criticism].” Questions of Poetics enacts discourse as the back and forth movement between material text and (expanded) cultural poetics, a movement that mimics the oscillation between linguistic structuralism and historicism in Jakobson’s Questions de poetique. This affiliation between Watten and Jakobson, grounded by a common object of study, poetics, underwrites the parallel polemics of both authors. Just as Jakobson insisted that the poetic function is the ground — not a peripheral effect — of linguistics, so too Watten insists that Language writing is the first poetics largely motivated by modern literary theory. At the same time it was also a “discursive formation of subject positions akin to the emergence of new social movements and identity politics in the period,” discursive formation being a concept Watten takes from the work of Ernesto Laclau and Chantal Mouffe. Discourse as making facilitates a community of poets/critics at the microlevel and, at the macrolevel, constitutes a history. In recalling the formative years of writers coming together to share a discourse and set of concerns, Watten does not always resist the nostalgia inherent in reducing community to spatial relations (what Dewey, in valorizing sociality, referred to as “face-to-face encounters”) since history is always, among other things, the possibility of the dispersal of community. The instability of community is evident when Watten discusses the Grand Piano project in his chapter titled “Collective Autobiography.” Watten resolves, or perhaps only reduces, the tension between community and history by placing both within the model of reception theory: community and history are thus read through the lens of shifting interpretations of Language writing from without (e.g., Marjorie Perloff’s critical work) and, more controversially, within (reassessments by Watten and other Language writers). Thus, community is linked to history through the discourse of what Watten names the poet/critic. This figure is, for Watten, a “heuristic device,” and thus its agency is largely, if not entirely, formal. This formal quality leads to the greatest risk Watten embraces in the self-described “thought experiment” of Questions of Poetics: while poet/critics are divided by a gap akin to that between the material text and cultural poetics, they are constituted within, or as a projection of, individuals. Thus, according to a conventional division of labor, the critic Watten reads poetry from Romanticism to Conceptual writing and Flarf, including not only other Language writers but also his own work as a poet. Because Watten is writing about poems he has already written, the “distance” between these two Wattens is not only, or even primarily, psychological; it is, above all else, temporal and spatial. This distance is the condition of possibility for traditional aesthetics and is thought through as such by two of the first modern poet/critics, Coleridge in Biographia Literaria and Wordsworth in The Prelude. The canonical modernist poet/critics, Pound, Eliot, Ransom, and Tate, all deployed essays that attempted to objectify shared aesthetics (which meant usually, though not always, eliminating specific examples of their own work as well as that of their “friends”). Watten rejects this model of “objective” criticism. For him the poet/critic “dyad” is fused in a confluence of personal, social, and cultural crisis akin to that experienced by the schizophrenic: the refusal of, or resistance to, oedipalization. For example, in the context of the traditional poetry workshop model, the Language writers recuperated “illegitimate excess” as “theory and history.” The New Critical particular/universal divide, reified as the poet/critic equivalency (supposedly stabilized by the making of “concrete universals” which are actually, argues Watten, unstable “antagonistic kernel[s]”), is thus rejected by Watten and replaced with the “expanded, postmodern” poet/critic for whom “discourse,” ludic and antagonistic, binds the one to the other, narrowing the gap between material practice and historical condition. Needless to say, the postmodern poet/critic, however “provocative” as a thought experiment, is no less an unstable “device” than its modernist predecessor, if for different reasons. Watten’s response (not solution) to this instability is to revalorize hermeneutics, specifically, the reception theory of Hans Robert Jauss: how we read a work depends on the historical “present” in which we find ourselves, and as these historical frames shift, so too our “horizons of expectation.” Jauss’s reception theory complicates the academic tendency to partition “makings” into periods, genres, categories, etc. Thus, Watten rejects the conventional succession of periods and the subsequent categorization of cultural productions according to those that transcend periodicity and those that do not — pejoratively confined to their “period style” — and insists on the ongoing centrality of poetics, beyond its formalization under Language writing, in practices of materiality responding to historical crises. Because artistic movements in general are susceptible to succession (succeeding one and being succeeded by another) as “styles” according to the obsolescence theory of production sardonically analyzed by Paul Mann, Watten rejects the understanding of Language writing as a “movement.” Of course, insofar as poetic “movements” also imply the possibility of different discursive formations, and thus the possibility of different conceptions of objectivity and subjectivity (e.g., the different ideas about objectivity and subjectivity between a Beat poet like Allen Ginsberg and a New American like the pre-Baraka LeRoi Jones), Watten’s analyses only complicate our understandings of objectivity and subjectivity vis-à-vis the poet/critic figure. Thus Watten circumvents most of the problems of objective analyses of works by artists to whom he has affective relationships only to the extent he uses their (and his) works to illustrate or support his critical arguments. In reversing the poet/critic polarity — in functioning throughout his own book as a critic/poet — Watten can justify references to, and citations of, his creative writing and that of other Language writers as mere “examples.” He thus eschews — for the most part — evaluative proclamations. That he cannot always resist the temptation of valorization is related, it seems, to the way this book’s conclusion is predetermined by its given: Language writing was and is consequential. The circularity of this argument within Questions of Poetics and between this book and The Constructivist Moment is one justification for the metaphor of the double star system I deployed earlier, but of course one must also ask why these texts veer so close to circular argumentation in the most pejorative sense pf the phrase, an argument of compulsive insistence as opposed to logical “proof.” I will return to this issue, but for now I want to examine the stakes in violating academic norms (and perhaps even ethics) regarding reviewing and assessment of the work of people one counts as friends. For Watten, this risk depends upon his theoretical understanding of the example. In designating specific poems and fragments of nonnarrative within narrative by Silliman (nonnarrative being a key feature of Silliman’s New Sentence) as examples of radical particularity, Watten conflates two understandings of exemplarity that, if not contradictory, stand in a tense relation to each other. On the one hand, Watten reminds us that radical particularity, perhaps the avant-garde trait, has a long history. Its purpose, in literature, is to arrest the universalizing tendency of verbal works of art by emphatically refusing to function as a chain-link of a narrative. In that sense, the radical particular is not an example, is not one part of a general whole. In early Language writing this deployment of radical particularity “led to intractable (and unsublatable) hybrids of deferred meaning and illegibility within its larger forms.” Moreover, “the stressed relation between part and whole offered a prescient analogy to forms of political economy that had been transforming the global order.” On the other hand, if, within the genre of criticism, Silliman’s radical particulars are examples of Language writing, then they must be, in some sense, sublatable and legible as Language writing. Their unsublatability and illegibility at the level of semantics must be, at another level of semiosis, indices of their sublatability and legibility as Language writing. Thus, only one meaning of the example would be at odds with radical particularity, which implies that the example can be both a moment within a narrative or precisely that “antagonistic kernel” that interrupts narrativity (these double meanings captured perfectly in the colloquial expression “to make an example of”). This “other” example, for Watten, would be consonant not only with the radical particular but also with the negative (chapter 5), taking advantage of the semantic fluidity of each term. Put another way, the whole (Language writing) to which a part (Silliman’s text) refers remains stable since no claims of universality (the whole) are being made. But the concept of “professionalism,” for example, is indeed a universal insofar as the entire apparatus and bureaucracy of modern academia depends upon it. And one hallmark of academic professionalism is objectivity. The concept of “objective” evaluation in literature is, historically, relatively new, a modern phenomenon inherited from professionalization (that is, the late nineteenth-century turn from impressionism to criticism) and, specifically, from the New Critics (who got it, in part, from Eliot’s objective correlative) and other intellectuals interested in the management of semantic proliferation via “universal language” initiatives like Esperanto and BASIC (the latter discussed by Watten in The Constructivist Moment). The premise of contemporary critical reviewing within the “profession” is that friendship, an affective relation with another person, calls into question objective evaluation. But since a critic confronts a text with other affective “baggage” — e.g., her attitude toward the poet, toward the kind of poetry under investigation, toward the reputation of the poet, etc. — objective evaluation is always an ideal criterion (which doesn’t mean it isn’t a worthy pursuit). This may be why the concept of friendship as an affective formation of shared aesthetics among, typically, young poets has regained a certain degree of currency. For Watten a demonstration of the possibilities and limits of friendship as a foundation for a discursive formation may be seen in the multiauthored The Grand Piano. Just as the agrarian contributors to I’ll Take My Stand could not have foreseen that they were already setting the stage for the development of “New Criticism,” so too “the quotidian frame and lack of institutional pressures of The Grand Piano were factors in the development of a group tendency and range of styles that later would be recognized as Language writing but that were not understood as such then.” For Watten, then, the subsequent reinterpretations of that “original” moment of cultural production were necessitated by a general “skepticism toward the vatic or logocentric claims to originality of an earlier generation.” This demanded “a poetic subtraction from the preceding grand narrative and style.” The friendships that developed around a core of aesthetic, social, and, doubtless, political concerns (Watten notes the specific impact of the Vietnam War) were thus reactive and proactive. Here again Watten reminds us that Language writing, while a breakthrough in literary form and “formal agency,” cannot be reduced to an originary beginning: it emerged from concerns around language (speech and writing) within and without literature and across multiple temporal zones. To his credit, Watten not only acknowledges but also analyzes critical disagreements among the Language writers, several of which led to some members abandoning the “program” and even long-held friendships. 1. 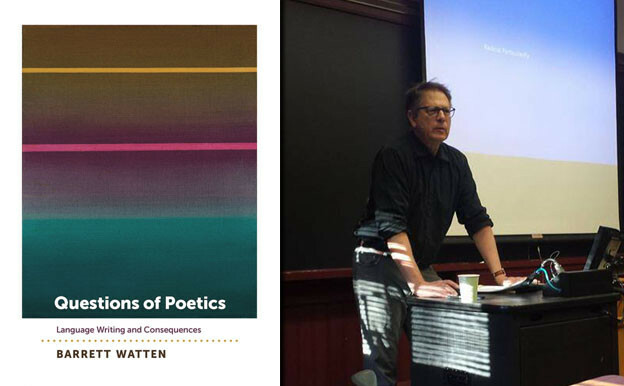 Watten’s other twenty-first-century critical texts include The Constructivist Moment (2003), introductory essays to Diasporic Avant-Gardes (2009), coedited with Carrie Noland, and A Guide to Poetics Journal: Writing in the Expanded Field, 1982–1998 (2013), coedited with Lyn Hejinian. In his two essays Watten summarizes several themes, particularly around the avant-garde and poetics, that he develops in Questions of Poetics. 2. While both Jakobson and Watten take for granted that poetics cannot be confined to poetry, the ubiquity of the term demands a more polemical defense from the former, since he places poetics at the center of the “science” of linguistics. For a somewhat hostile overview of Jakobson’s structuralist linguistics, see Paul Werth’s “Roman Jakobson’s Verbal Analysis of Poetry,” Journal of Linguistics 12, no. 1 (March 1976): 21–73. 3. This strategy constitutes a continuation of his argument with Paul Mann in The Constructivist Moment. In playing the roles of both Edmund Wilson and Cleanth Brooks (for examples), Watten rehearses the arguments between the sociological (often Marxist) diagnoses and formalist aesthetics (the matrix of New Criticism) of the 1930s in order to move to a revisionist, experimental model of the poet/critic. However, there is more than mere resemblance between the Fugitive Poets (many of whom became the architects of what would be called New Criticism) and the Language Writers: though positioned at opposite ends of the political spectrum, both groups viewed themselves as outliers in relation to the dominant aesthetic tendencies of their respective periods. The very necessity of fusing the critic and poet (though, Watten argues, the modernist version failed to cohere) points to wider cultural crises (e.g., the gap between received critical norms and “present” creative necessities). 4. I conclude this review with a brief overview of the implications of this metaphor of orbital circularity. 5. Barrett Watten, Questions of Poetics: Language Writing and Consequences (Iowa City: University of Iowa Press, 2016), 6. 6. Watten, Questions of Poetics, 6. 7. In distinctive ways, Tolson and Atkins crossed the threshold into materiality, a crossing that effectively marginalized both not only within literary history in general but also within black literary history. And though Watten’s notion of self-criticality is meant to oppose Language writing to “mainstream” movements like that of the New Americans, the self-critical innovations of feminist and Black Arts poetics he does acknowledge “must be registered, if only by [their] absence” (68). I take this admission as an index of the limitations of the present book and a gesture toward Diasporic Avant-Gardes. 8. New Narrative (e.g., Ron Halpern) and New Confessionalism (e.g., Erica Lewis) represent, respectively, examples of “positive” and “negative” positions staked out vis-à-vis Language writing. The same polarity can be observed in Kristen Prevallet’s Apex of the M magazine and Dale Smith’s and Hoa Nguyen’s Skanky Possum Press, both now defunct. See Questions of Poetics, 216, and Dale Smith’s Skanky Possum Press A (Personal Genealogy), “Among The Neighbors” 4, the Poetry Collection of the University Libraries, University of Buffalo, 2018. 9. As we will see, the “scandal” of the postmodern poet/critic who reads and analyzes his own cultural products, created as a boy and a man, is Watten’s example of an assault against a certain form of academic propriety. 10. Watten, Questions of Poetics, 113–17. 11. Watten, Questions of Poetics, 4. Thus, the relation between poetry and criticism for Language writing was the reverse of that regarding the development of New Criticism which begins with poetry as an expression of “fugitive” agrarian politics. 12. Watten, Questions of Poetics, 2. 13. Noting that “Questions of poetics can no longer be confined to the work’s form,” Watten distances himself from Jakobson’s structuralist orientation: “Jakobson’s valorization of poetry as an object of analysis was connected to higher levels of culture and society, seen as concentrically arranged,” but this “vertical arrangement of cultural meaning fails … at the levels of motivation and interpretation” (3). 14. Watten, Questions of Poetics, 2–4. 15. Watten, Questions of Poetics, 85. 16. Mann’s totalizing theory of recuperation is a constant threat to Watten who, like Peter Burger, needs to maintain a difference between the cultural productions of modernism and those of the avant-garde. Unlike Burger, however, Watten finds discursive value within certain strands of modernism. More problematic, in rejecting the concept of a movement, a term with sociological and political repercussions, and deploying discursive formation in its place, Watten risks reinscribing the very formalism he is at pains to keep at bay. 17. John Dewey, The Public and Its Problems (New York: Henry Holt, 1927). 19. Watten, Questions of Poetics: “The poet/critic is a construction site, a site of intervention” (211). 20. As Watten writes: “The modernist poet/critic brings both halves of the universal/particular dyad together through [his] authorizing agency: as author of the specific work and as guarantor of its general meaning. The modernist poet/critic is therefore in a split or contradictory role toward [his] dual object, the poem: what the poet insists on as the individual value of experience, the critic valorizes in general terms” (Questions of Poetics, 203). As I show below, while the criticism of spatiality and temporality as unifying something like the “author” — cf. Questions of Poetics, 114–18 — is critical to Watten’s notion of ongoing interpretations within shifting historical frames, reinterpretation per se tends to monumentalize the object of study, at least within academic culture. Watten appears to implicitly acknowledge this possibility in his phenomenological analysis of nonnarrative and narrative per The Grand Piano in Questions of Poetics, 144. 21. This is Deleuze’s and Guattari’s “anti-oedipus” by way of Zizek. Strictly speaking, the dyad describes only the postmodernist “poet/critic” Watten deploys since it is, by definition, a relation of dissimilarity that does not presuppose an original “unity.” See Laterina Kolozova, “Structure, Matter and Pure Form: Marx, Laruelle, and Irigaray,” Journal for Politics, Gender and Culture 14, no. 1 (2017). 22. This move within the “thought experiment” thus purports to dissolve the divide between the play of formal properties and devices and social and political antagonism within a given poem. 23. Watten, Questions of Poetics, 20. 24. Watten, Questions of Poetics, 202–5. The postmodern poet/critic dyad cannot achieve absolute “closure,” an adequate fusion of the two agents, since to do so, a kind of final “success,” would be equivalent to recuperation in the sense that Paul Mann uses it in TheTheory-Death of the Avant-Garde. Watten’s celebration of the enthronement of Language writing within academia is not the movement’s death-knell only to the extent it maintains that “gap,” however miniscule, between poet and critic. 25. Watten never mentions Jauss by name, but his ideas on reading strategies appended to historical periods seems very much in the spirit of the German critic. However, as we will see, Watten attempts to undermine, or perhaps complicate, traditional academic periodization via shifting historical frames that facilitate interpretation and reinterpretation tend to monumentalize traditional academic culture inasmuch as reinterpretation revalorizes the object of study. For an overall summary of Jauss’s ideas see his Toward an Aesthetic of Reception. 26. Watten’s specific target is Marjorie Perloff’s designation of Language writing as a mode of innovative writing trapped within a period (roughly, the 1970s) it could not escape. See Questions of Poetics, 79–80. 28. In The Constructivist Moment, Watten discusses the “theory death” that occurred when Language writing was consolidated “in its initial reception as a school,” not, he emphasizes, in its “literary origins.” Inasmuch as Watten uses the “Language School” as his preferred term, he accepts the inevitable recuperation that accompanied reception, but the distinction between “beginnings” and “ends” is crucial to his criticism of Paul Mann’s totalizing theory. 29. Referring to a drawing made when he was five and his critical reading of his own poem “Radio,” both of which appear in The Constructivist Moment, Watten writes, “Two routes to the social reproduction of poetry are implied in my thought experiment: one through the poem as object — change the object, change the paradigm — and the other through the subject, and toward the language-centered reflexivity of the poet/critic. In either case, the turn to poetics is mediated through the example — the example is the making of the poet/critic” (210). 30. In the plastic arts, Duchamp’s repurposing of a toilet bowl and installing it in MOMA is the classic example of the radical particular. Because it can eventually be recuperated within the narrative of art history, no radical particular can claim that status for very long. The gesture of radical intervention must always be renewed. Hence Paul Mann’s narrative of the avant-garde as the endless recycling of radical disruption. 31. Watten, Questions of Poetics, 13. 32. Or “deferred meaning” arrives, years later, in the retrospective hermeneutics of analysis. Several times throughout the book, Watten mentions that the Language Writers didn’t necessarily understand the consequences of their poetics as they were being formulated. That “stressed relation between part/whole” as a “prescient analogy” to neoliberalism’s birth-throes also explains the importance of intuition and affect for the Language Writers. 33. Insofar as “academia” did not always aspire to “professionalism” and “objectivity” in the modern sense of the term, the universal can be understood as the erasure of history. 34. Though not all negative “Responses” and “Comments” in professional journals and “Letter to the Editor” in public magazines directly call into question the objectivity of reviewers, the possibility of an otherwise “objective” analysis or, even better, valorization is always the presupposition of disagreement. 35. On the limits of friendship as a foundation for a politics, see my review of Melissa Buzzeo’s Face and Bruce Boone’s Century of Clouds at Rain Taxi Review. 36. Watten, Questions of Poetics, 112. 37. Watten, Questions of Poetics, 119. 38. Watten: “I continually question, as I work between, the dual perspective of poet and critic, of person and work, throughout my critical writing, which depends on the distance necessary for criticism but also the hands-on experience of poetry” (Questions of Poetics, 20). 39. Watten, Questions of Poetics, 203. 40. As I remind my students in the theory class I teach, the moment we recognize cultural productions as products we are already “doing” criticism, and criticism presupposes theory.